In Brandon’s world, there are extraordinary people all around him, hiding in plain sight. They all have one thing in common. They can warp. The ability to warp comes from a special bond with the spirit field, a web of energy that connects every living thing and stretches across the entire universe. Warping can use the spirit field to change reality itself! Brandon is one of the few humans who can warp. 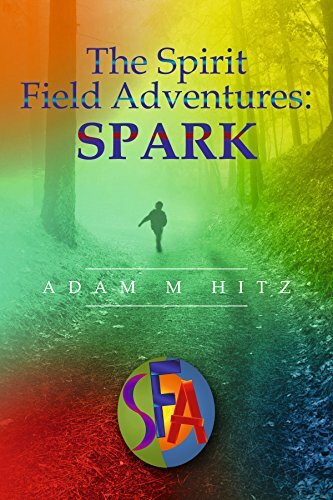 He learns about his remarkable abilities on a class trip to the Smithsonian. One minute, he’s an ordinary twelve-year-old. The next, he can hear people’s thoughts. Before Brandon has the time to study and master his ability, his warp catches the attention of the Lords, a dark cult intent on capturing everyone who can warp and keeping the secret from being revealed to the world at large. The Lords will do anything to achieve their objective, and their objective is imprisoning Brandon! When the Lords attack, Brandon knows that his ordinary life is over. Brandon will have to forge unlikely alliances to survive the fight ahead. The decisions he makes will change the course of his life and reveal the true power of the spirit field.